At Arapahoe Libraries, we incorporate the five practices and six skills as outlined by Every Child Ready to Readopens a new window into each program for ages 0 to 5. These concepts are essential to preparing a child to read when they reach kindergarten. The great news is, you're probably already doing these at home! Below are links to materials and books that highlight the skills and practices. Nothing prepares a child to read more than being read to. Picture books contain words that children don't often hear in everyday conversation. Cuddle up with your baby or child and read a good book today! Reading and writing are learned at the same time! Give your child a chance to draw with different tools and tell stories of their own. They'll learn words have meaning! Talk to your children every day and let them join in. When children watch, listen and participate, they're learning how to communicate and what words mean. Songs break down words into individual syllables and allow children to experience rhythm. When children sing, they're learning new vocabulary words, too. 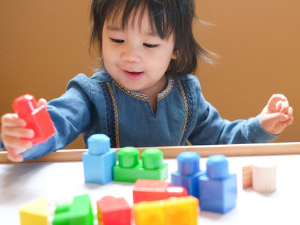 Children learn language and how the world works at playtime. When they dress up, they're learning about different roles in society, problem solving, storytelling, how to act out real situations, put thoughts into words and think symbolically. Storytelling leads to stronger readers! A child needs to understand what they're reading and how stories progress. Narrate your day, label their actions, tell stories about your childhood and ask open-ended questions. Reading involves breaking down words into smaller sounds. Sing songs or read nursery rhymes at home or in the car. Before learning to read, children need to understand that each word is made up of individual letters, each with their own sounds. When we talk about letters and their sounds, we're helping our children decode words and preparing them to sound them out on their own. Another component to comprehension is knowing what words mean. The next time you and your child read a word they don't know, explain what it means and talk about similar words. Words are everywhere! Point out street signs on car trips or shelf tags at the store. Let them play with books and be comfortable holding them. To be a reader when they get to school, a child has to want to read. Make books fun and exciting at home! Let your child choose what to read. If they're bored or upset, try again later. Have questions? Please don't hesitate to ask usopens a new window!